Almond butter– the more expensive and less creamy cousin of peanut butter– is packed with protein and healthy fats. It’s like eating almonds, right? Kind of. It’s a little flat on its own, shorter on sugar than peanut butter. 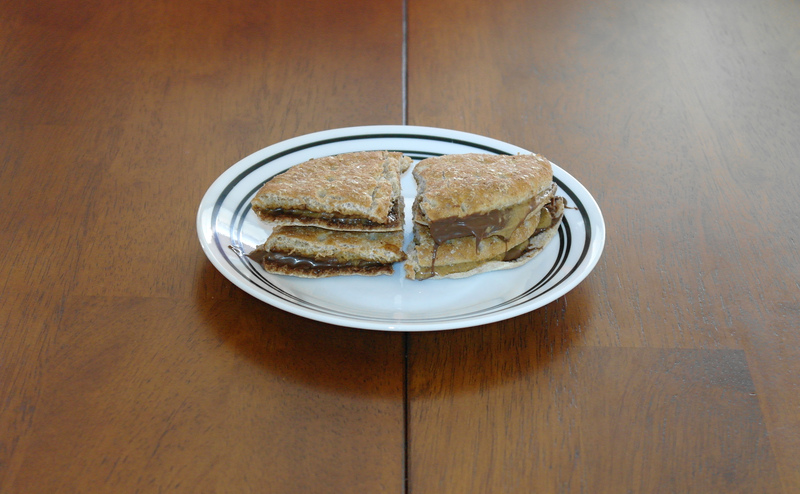 Fix that by mixing in some of our beloved spread, Nutella. The flavors complement each other better than you’d expect. They balance one another, so you feel like you’re getting a wholesome snack that’s not so drenched in sweetness. It’s deceptive, for sure, but also delicious. So split that sucker up and eat slowly. It’s time to make the good things last.